Hey! Shake Your Tail Feathers, You Got this! Hello Heffy Doodlers! 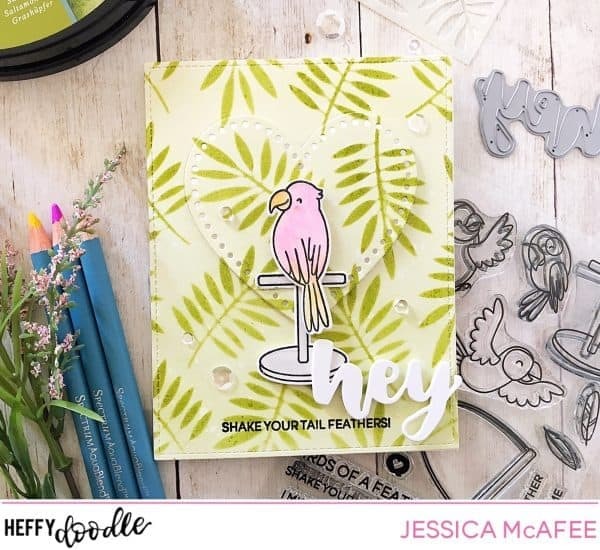 It’s Jessica here and today I’m sharing a tropical encouragement card featuring Wingman. 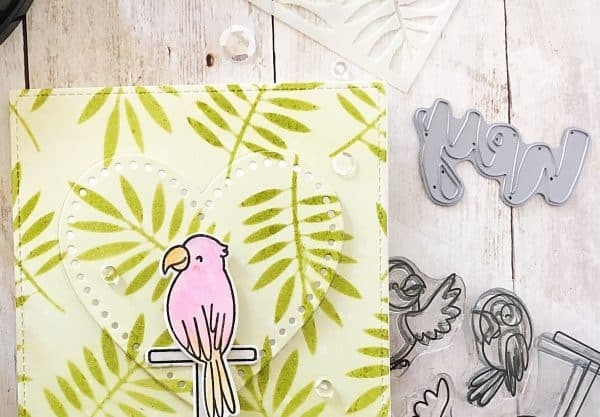 You can find our Limited Edition Cardmaking Kit here. I started by creating an A2 sized stitched rectangle with Bristol smooth card stock. Next, I put down a base layer of water reactive ink in a light green tone. For the second layer I used a darker green with the UnbeLEAFable stencil. To add interest, I die cut a dotted heart in the centre and adhered with 3D Foam tape. I stamped the main image with Versafine Onyx Black Ink and coloured in using Spectrum Noir AquaBlend Pencils. 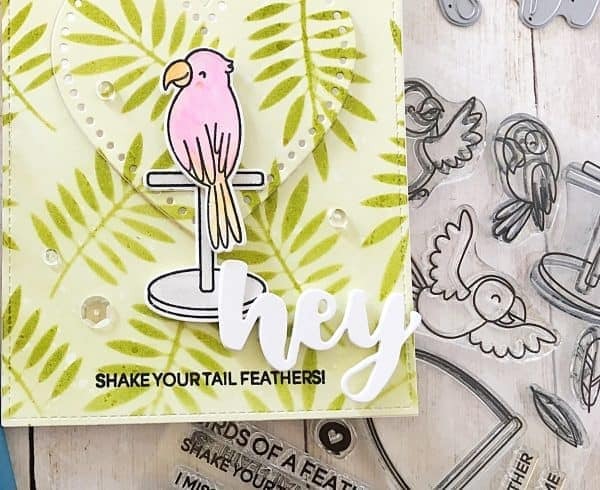 For the sentiment, I mixed and matched the Hey Heffy Cuts die with “shake your tail feathers” from the stamp set. To finish off the card I added coordinating sequins, a black gel pen detail to the eye and Spectrum Noir Clear Overlay to the bird’s feathers.